The FBI probably lied this week when they said they just discovered a way to hack the San Bernardino iPhone without Apple’s help. Several outlets are reporting that the “3rd party” who supposedly just approached the FBI offering to help hack the iPhone at the center of the Apple vs FBI case is Israeli security firm Cellebrite. 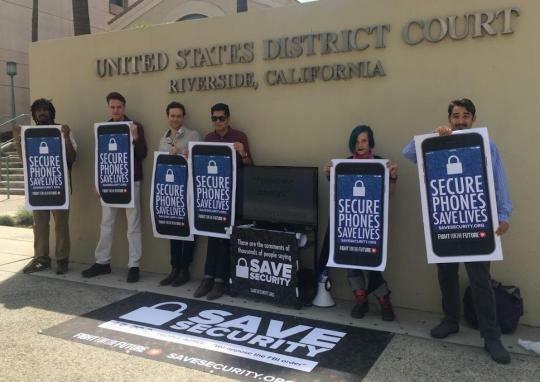 The DOJ publicly claimed at least 19 times that there was no other viable method to open Sayed Farook’s iPhone other than with Apple’s help. This was a core tenet of their case using the All Writs Act. But surveillance blogger Marcy Wheeler points out that the DOJ was already in talks with Cellebrite about hacking an iPhone 6 in a drug case as long ago as February 16th. Cellebrite is a well-known firm used by many law enforcement agencies, and it publicly boasts on its website about its ability to hack Apple products. The DOJ never mentioned Cellebrite as an alternative possibility in its filings with the court. In this case, that omission essentially amounts to lying. They consistently claimed that there was simply no other way to break into the phone without Apple’s help, even though they knew there was another very plausible possibility. Even before this latest announcement, multiple expert security researchers have cast serious doubt on the DOJ’s claim that only Apple could help unlock the phone. See this, this, and this. This seems really worth digging into. It really looks like the FBI is backing down from this fight because they realized they were losing public trust and weren’t going get the precedent they were after. It’s important that the public understand what really happened here. The FBI’s last minute excuse is about as believable as an undergrad who comes down with the flu the night before their paper is due. They should come clean immediately, and admit that they mislead the court and the public, to avoid further damaging what’s left of their credibility.